Martin Shkreli pleaded not guilty in a Brooklyn court Monday to a new charge filed against him. 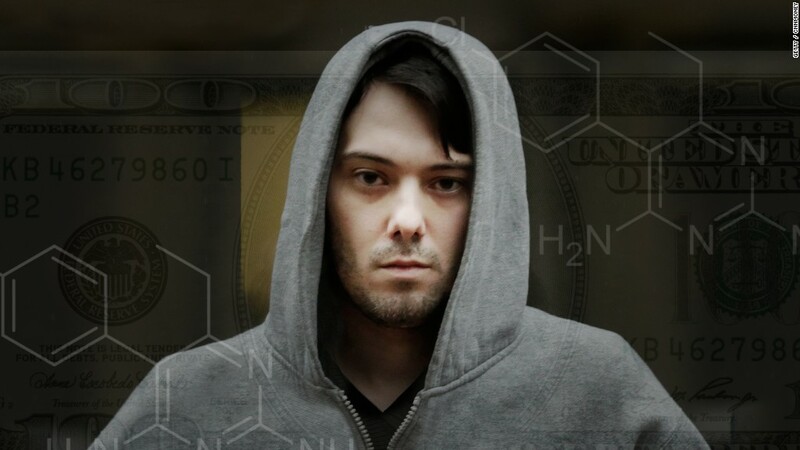 Shkreli, the poster boy for outrageous drug price hikes, has been hit with an additional criminal charge of conspiracy to commit securities fraud, stemming from Shkreli's tenure as CEO of the biopharma company Retrophin (RTRX) from 2012 to 2014. He and his alleged accomplice, lawyer Evan Greebel, are accused of deceiving investors about the buying and selling of Retrophin securities. They each face a total of eight counts of fraud, and conspiracy to commit fraud charges. Shkreli and Greebel allegedly lied to investors about the disastrous performance of the hedge funds Elea Capital Management, MSMB Capital Management and MSMB Healthcare, from 2006 to 2012. They're also accused of illegally siphoning money from Retrophin to pay off the MSMB funds' bad market bets. 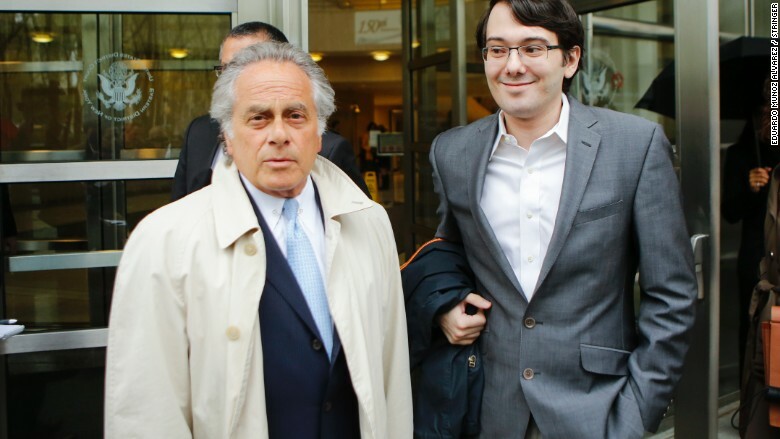 Martin Shkreli, right, pictured last month with his lawyer Ben Brafman, return to court. "The new indictment adds nothing to the flawed theory of the case against Mr. Shkreli," his lawyer Benjamin Brafman said in an email to CNNMoney. Shkreli didn't seem worried about it, either. On Friday, he live streamed for hours, chatting with fans and playing video games in his pajamas. He said that he expects to spend at least $10 million on his legal defense for the trial, which might not start until next year. "Once it starts, it's going to be mayhem," he said. "It's going to be like the [WWE pay-for-view ] Royal Rumble. I want to sell tickets." He also said that he's preparing to learn mixed martial arts, just in case his lawyers can't keep him out of prison. Shkreli was arrested in December and hit with seven charges related to his disastrous tenure as a portfolio manager. "I am confident I will prevail," tweeted Shkreli at the time of his arrest. "The allegations against me are baseless and without merit." But Shkreli has not been charged for the move that really made him famous: Hiking the price of Daraprim, a drug for AIDS and cancer patients, by 5,000% overnight. During his appearance at a Congressional hearing in February about drug price hikes, he rolled his eyes and smirked while pleading the Fifth Amendment. He criticized the "imbecile" lawmakers on Twitter (TWTR). Brafman, who has represented Michael Jackson, Jay-Z, Sean "Diddy" Combs and Dominque Strauss-Kahn, told CNBC earlier this year that he wants Shkreli to lay off the social media and keep a "low profile."